Hawaii received its first coffee trees in 1828. They were brought to the islands on HMS Blond, which was a British warship. Soon after, coffee was planted in the Kona district of the Big Island. Kona’s rich volcanic soil and unique climate work together to produce a coffee like no other. Kona coffee is by far one of the best tasting Hawaiian Drinks. 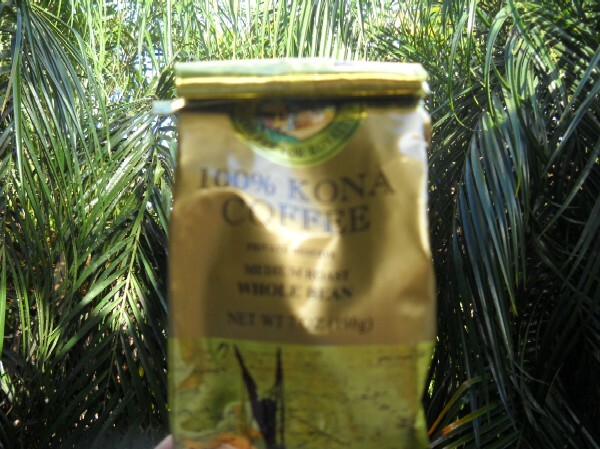 Recently I tried 100% Kona coffee from a company called Royal Kona. I sampled their Private Reserve, Medium Roast, Whole Bean. It’s not cheap. In fact, it costs roughly $2 per ounce, but it was definitely worth it. It has a very fragrant, intoxicating coffee aroma. I really can’t describe it. I can only imagine what it must smell like when it was being roasted. And it has a rich, complex flavor. It has a smooth, almost buttery mouth feel, with just a hint of acidity. And I really like the earthy notes that I got from it, which are much more complex than other coffees. As long as you are a one or two cup a day coffee drinker like me, I think that you’ll love this coffee. But if you drink more than that, you will probably love this coffee, but hate what it does to your wallet.